This is another of the Judy Bolton books. In this one she's married to Peter Dobbs and they are taking care of a young girl named Roberta. 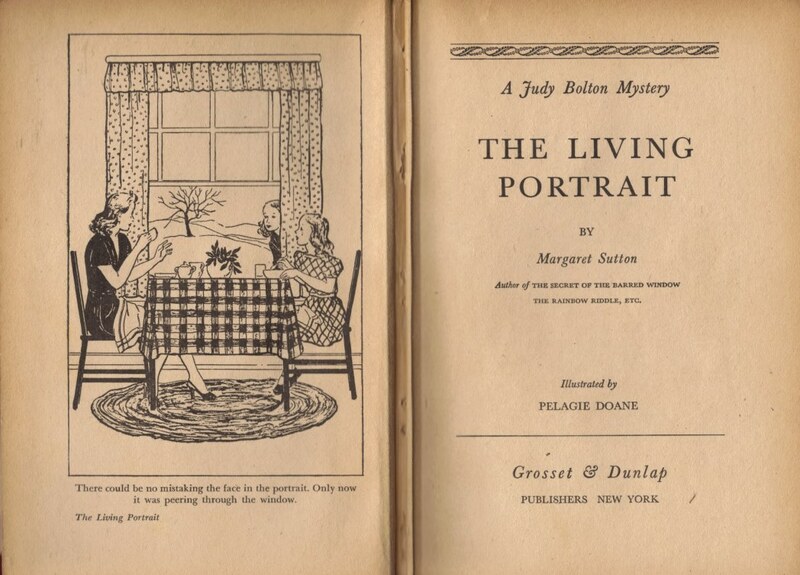 The story centers on a portrait of a woman that tends to spook both Judy and Roberta. Peter works for the F.B.I. and the portrait also involves him later in the story. Peter's problem is to find a bank robber and money stolen from the bank. Judy and Roberta tell him they have both heard strange noises in their house and that the portrait seems to alive but has also changed, the woman in the portrait looking somewhat different. The two, of course, end up being parts of a whole and the rest of the book goes into how Peter, Judy and Roberta work together to figure out just what is going on. It's a good addition to the series.